EVERETT, Wash. – Dustin Wolf stopped all 20 shots faced in the first two periods while his teammates built a run of four unanswered goals to lift Team Green to a 4-1 victory over Team Grey in the Silvertips annual Green vs. Grey Game, Sunday afternoon at Angel of the Winds Arena in downtown Everett. Green took a shot advantage of 54-23 for the game and Tips 16-year old goaltender Blake Lyda, who played the final two periods for Team Grey, turned in 34 saves on 35 shots. Everett native and Flyers prospect Wyatte Wylie bagged the lone goal for Team Grey in the third period. Team Green’s 3-0 lead through one period started on a Bryce Kindopp deflection at the net, set up by Jameson Murray’s point shot for the game’s first goal at 4:27. Sean Richards then delivered a backhanded feed to the net, snuck in by Luke Ormsby for a 2-0 lead with 13:06 remaining. Newcomer Peter Melcher, the lone Tips selection in the CHL Import Draft, built the lead to 3-0 on a backhander at the crease, following Connor Dewar’s pass from the right circle. Wolf (10 saves in the first period) was supported by Gage Goncalves’ backhander from between the circles at 1:36 left in the second period for a four goal cushion. 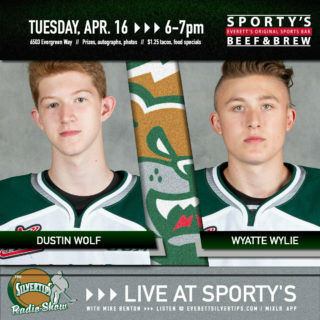 Wyatte Wylie closed the scoring with a third period snipe, a wrister from the high slot just one minute in to cut the deficit to 4-1. 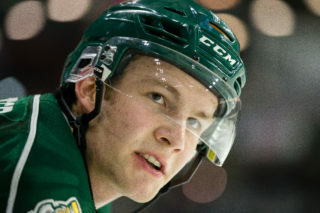 NOTES: Martin Fasko-Rudas, arriving Saturday, suited up for Team Grey … Silvertips assistant coach Harry Mahood served as the head coach for Team Green in the victory … Danton Belluk, suiting up as a roving third goaltender in the game, started the game in net for Team Grey and finished the last 20 minutes in net for Team Green. 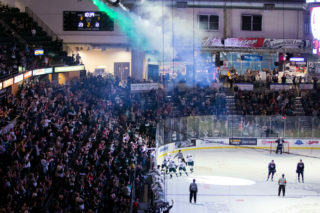 The Silvertips will open the 2018-19 preseason schedule with the Delta Hotels Preseason Classic this Friday, Aug. 31 at Angel of the Winds Arena, 7:00 p.m. against the Tri-City Americans. 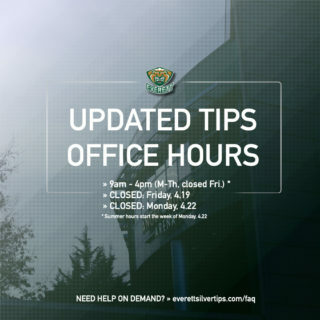 The three-day event starts at 11:30 a.m. on Friday with tickets on sale online, by phone, or in person at the Silvertips offices. 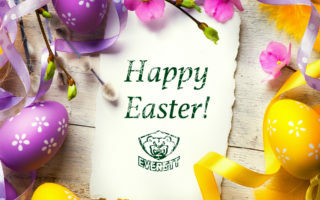 All preseason tickets – offering general admission seating for Tips home games – are available at http://everettsilvertips.com/preseason.